Looking for a Used A8 in your area? 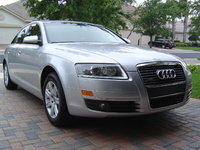 CarGurus has 2,050 nationwide A8 listings starting at $3,995. What does the Audi A8 want to be when it grows up? Sports car? Business limousine? Elegant family vacation car? Leaving all its options open, the 2005 A8 offers three trims for all tastes. As usual, all varieties pile on the luxury features (seat massagers) without skimping on safety (10 airbags) and precision performance (quattro AWD). The shorter wheelbase A8 returns this year in addition to the 5-inches longer A8L. Both carry the 4.2-liter, V8 engine boosted yet again to 335-hp. But buckle up, literally, because 2005 also introduces the W12 version of the A8L. Just like its name implies, this is two V6s connected together in a 6.0-liter engine that hits 450-hp and 428 lb-ft of torque. It is the only 12-cylinder German car with AWD on the market in 2005. The W12 takes the Audi A8 well beyond its sedate luxury sedan roots into a whole new realm of sports performance. The new W12 also features an upcoming exterior redesign for the A8s, a wide-mouthed grille that has received mixed reviews. Other new features in 2005 include LED headlights, which are apparently more efficient (the A8 is the first car to offer these), rain-sensing wipers, and a tire pressure monitor. Options such as keyless start and doors that can be closed automatically add convenience, but also add more possibilities for things to go wrong. Audi performance continues to rise above much of its competition, due to its lightweight aluminum frame, quattro technology, and standard traction control, anti-skid, and ABS brakes. The four-setting air suspension lets you move from conservative businessperson to crazy roadburner with the flip of a switch. The 2005 A8 still scores high with drivers for its expert handling and cornering, AWD grip on the road and in the snow, and its elegant, yet pampering interior. The increased room in the A8L would impress Shaquille O'Neal, and many owners love the convenient MMI control interface. Others find this display difficult to use. Drawbacks to the A8 include poor rear visibility due to small mirrors and obstructive rear headrests, a poorly designed phone integration system, and the location of the CD changer in the glove compartment. Cupholders are not designed to hold drinks. Some drivers want more power and torque, and everyone wants more helpful dealers and Audi representatives. 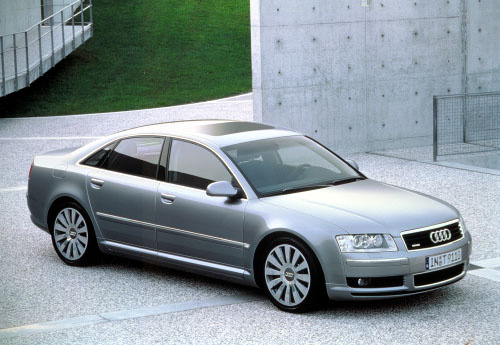 What's your take on the 2005 Audi A8? 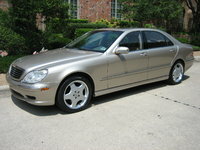 Have you driven a 2005 Audi A8? My 2005 Audi A8L stalled while I was driving.And it doesn't turn over when I try to start it. Does The Audi A8L W12 Have A Timing Belt Or Chain? 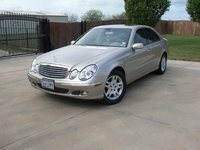 Looking at buying a used Audit A8L W12 and wanted to know if 12 cylinder has a timing belt or chain? What is the recommended service interval for this area?